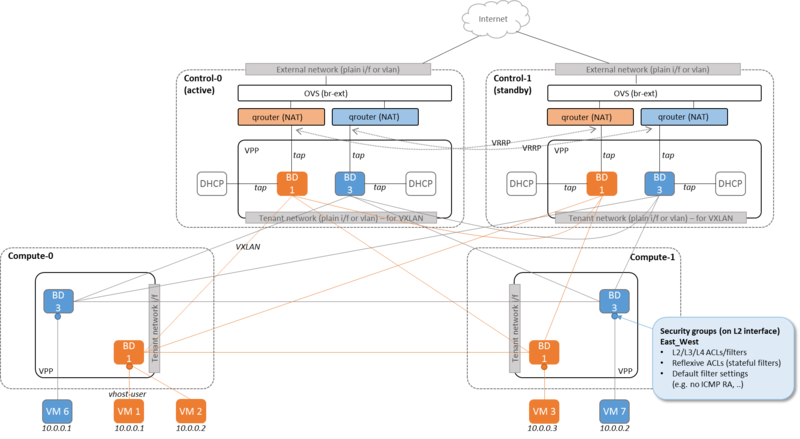 Scenario: “OpenStack - Opendaylight (L2) - FD.io” (apex-os-odl_l2-fdio-ha) is a scenario developed as part of the FastDataStacks OPNFV project. With high availability factored in the setup looks like the following. Note that the picture only shows two Controllernodes for reasons of simplicity. A HA deployment will always include 3 Controllernodes. The apex-os-odl_l2-fdio-ha scenario combines components from three key open source projects: OpenStack, OpenDaylight, and Fast Data (FD.io). 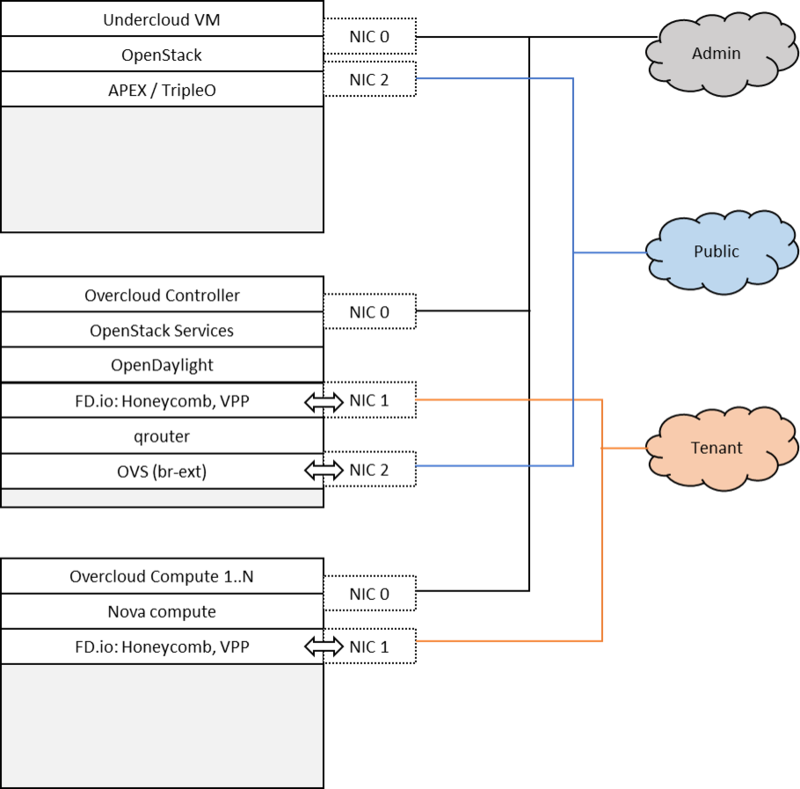 The key components that realize the apex-os-odl_l2-fdio-ha scenario and which differ from a regular, OVS-based scenario, are the OpenStack ML2 OpenDaylight plugin, OpenDaylight Neutron Northbound, OpenDaylight Group Based Policy, OpenDaylight Virtual Bridge Domain Manager, FD.io Honeycomb management agent and FD.io Vector Packet Processor (VPP). To enable the “apex-os-odl_l2-fdio-ha” scenario check the appropriate settings in the APEX configuration files. Those are typically found in /etc/opnfv-apex. There are no known issues. Note that only OpenStack is deployed in HA mode. 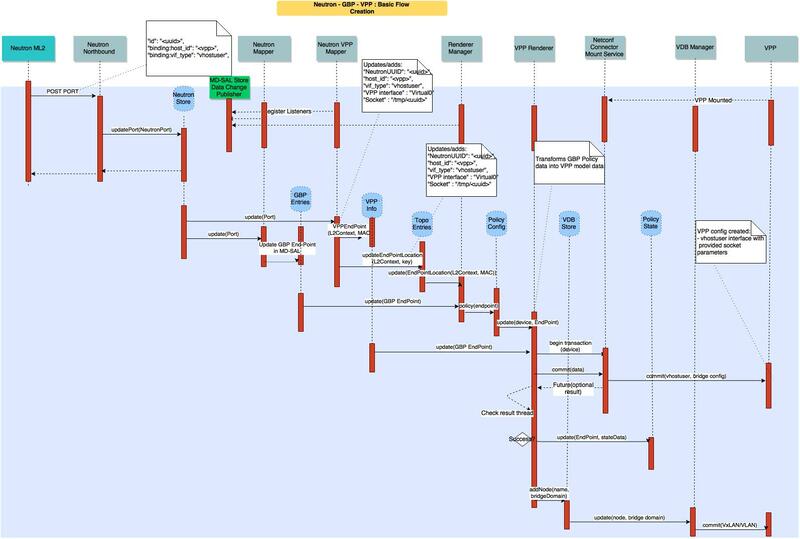 OpenDaylight clustering is expected to be added in a future revision of this scenario.